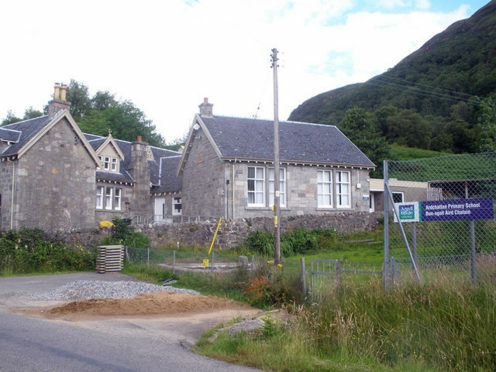 Coucillors are set to debate the potential closure of a primary school just outside Oban which has been unused as a school since 2014. The ‘mothballing’ of Ardchattan Primary School was approved by Argyll and Bute council more than four years ago. And a report to go before the council’s community services committee on Tuesday has said that the best option is for the school to be closed completely. If the closure is approved, Ardchattan’s catchment area will now be included in the area for Lochnell Primary, which is eight miles away. Other options for the school, including reopening, continued mothballing and designation as a resource centre, were regarded as unreasonable. The document to be considered by the committee said: “Ardchattan Primary School has been mothballed for four years. “The school roll was very low and not predicted to rise in the near future. This continues to be the situation. “There is very little support for the reopening of the school. “Whilst the building is mothballed it continues to deteriorate. The community is very proactive and is planning a future for the building. “Along with several other rural councils, Argyll and Bute is facing increasing challenges in recruiting staff. The report states that a community engagement meeting, attended by 15 people, was held in March, with the majority not in favour of reopening the building as a school. It also says that the cost of bringing the building to an acceptable standard to reopen as a school or resource centre is estimated at £190,000. Douglas Hendry, the council’s head of customer services, recommended ahead of the meeting that the committee noted the outcome of the consideration of requirements. He also said that they should agree for officers to work up a draft proposal to come to the committee’s next meeting, which is on March 14.